With Father’s Day right around the corner, I’ve been thinking about easy-to-make gifts for Dads. This one is really funny and can be personalized with photos of your family members. Using a Shrinky Dink Kit , we turned Moses and Roman into miniature pins and keychains. The boys loved making this craft with me and makes a fun little present. Step 1: Size the photos on your computer. You want it to be about 200% bigger than the size you’d like your Shrinky Dink to be. Step 3: Cut out the images. 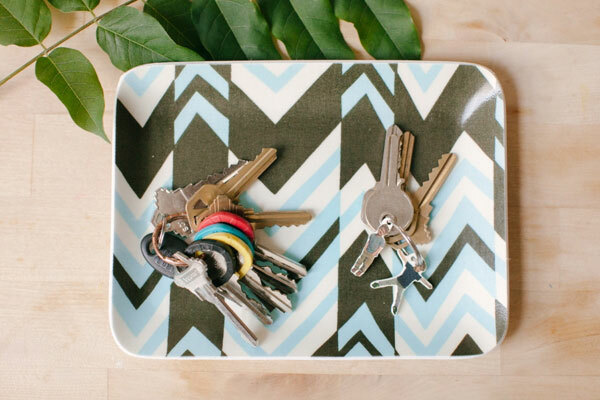 Leave a little bit of paper at the top to punch a hole through for the keychains. Step 4: Preheat your oven to 325 degrees. 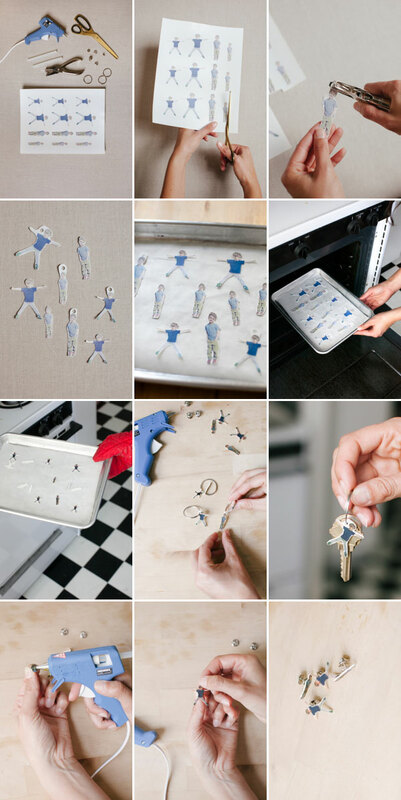 Step 5: Line a baking sheet with parchment paper and lay out your Shrinky Dinks. Step 6: Bake for 3-5 minutes. Step 8: Super glue on the tie tack backings and attach the key rings. The information on Amazon says the images will shrink to 50% (half) their original size. So I’m confused, because your instructions say to make the original image 50% bigger than desired size. Shouldn’t it be 200% (double) desired size? Or are the Amazon details incorrect?? These are completely adorable- we’re gonna be all over this craft this weekend. This is so funny and cute! I kind of just want to put little pictures of me and our dogs on my boyfriend’s keychains without telling him & see what happens when he discovers them, haha. you, Ms. Jordan Ferney, are a shrinky dink genius. i’m stealing this from you, which brings to mind the fact that if it weren’t for you Ferneys, Father’s Day would be a bust! I’m lucky enough to have made the Commission Project cut! Such a cute and affordable gift idea! I LOVE this idea. I teach elementary students with autism, and we were looking for an awesome Father’s Day gift to make that wasn’t too babyish or cutesy. This is perfect! And, as a parent, I think this is something I’d really like to get as a gift!!! These are amazing! My husband is totally getting miniature doggy tie pins for his birthday. these are SO cute!!! i absolutely love this idea! so many possibilities! i’d love to get this as a gift. it’s not cheesy, just plain awesome. so funny! omg, these are so fun! can’t wait to try it! My dad doesn’t wear ties or carry very many keys, but he does wear hats. The pins would be great for him to wear on his hats. Thanks for the idea. these are hi-larious! I’m with Natalie – I have no children, but may make a mini-me keychain for my husband…and, maybe a mini-husband keychain for me! these are hi-larious! I’m with Natalie – I have no children, but may make a mini-me keychain for my husband…and maybe a mini-husband for me! such a sweet idea, and i know my husband would love having a mini chloe to carry on his keychain or wear on a sweater. thanks for the amazing tutorial! These are awesome! Love this idea! I can’t believe I’ve never heard of the Shrinky Dink Kit, lol. I’m going to make some to put on the hubby’s cork board at the office. I am a non-commenter but long time reader. And generally my skills are with people not crafts, but I wanted to say thank you for this fun idea. We did shrinky dinks all the time when I was little in the 80’s. I am excited to do this project for Father’s Day. We are really low-key about holidays in the Heffernan household but this wouldn’t be breaking any of our low-key rules. Your team at Oh Happy Day is super creative and I am continually amazed at the fun ideas you guys are giving us all. What an awesome idea! I love the keychain. I remember playing with shrinky dinks as a kid. I had no idea they still existed. 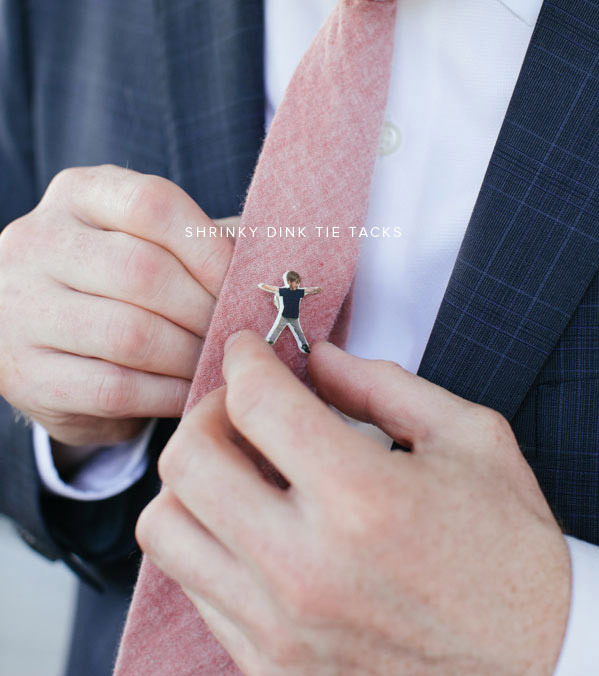 Honey, I shrunk the kids…into a tie tack! This would work beautifully as two kids faces for cuff links, and then the dog for a key chain! Last year for father’s day, I did something similar by cutting out my son’s silhouette and laminating it. Punched a hole in the top, looped with a ribbon and we had a nice bookmark for dad. It’s so cute! Great idea! Which is better: inkjet or laser jet? cute! i made a shrinky dink Tardis necklace for my niece last christmas and was trying to think of other things to do with it, its fun and my two girls LOVE watching it curl and go crazy in the oven. When i saw this a light bulb kinda went off… wouldnt these be great for game pieces?! I can only imagine how insanely happy my 4 year old will be to play candyland with her own little ‘sofia’ game piece. I have the same question as Melanie – which printer is better to use? I have a photo ink jet, but have access to a color laser printer. I think my dad would have loved this when I was a kid. 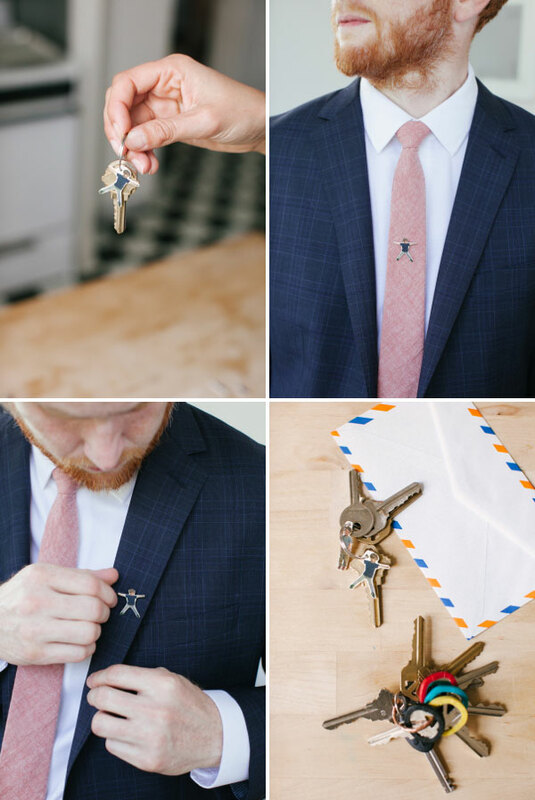 I don’t think it would work on keys for him, as his keys get knocked around in his pocket a lot, but as a tie pin? It would have been awesome. Wish I had known about this when I was little!